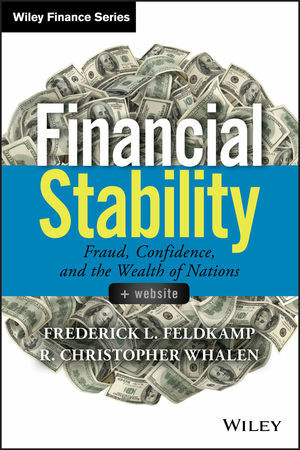 Financial Stability provides a roadmap by which the world can anticipate and avoid future financial disruptions. This unique discussion of past and present financial events offers new insights that explain economic, political, and legal antecedents of financial crises in Western markets. With a detailed discussion of the history of finance, this book shows modern investors and finance professionals how to learn from past successes and failures to gauge future market threats. Readers will gain new insight into the antecedents of todays financial markets and the political economy that surrounds them. Armed with this knowledge, they will be able to craft a strategy that steers away from financial disorder and toward maximum stability. Coverage includes discussion of capital, forecasting, and political reaction, and past, present, and future applications within all realms of business. The companion website offers additional data and research, providing a complete resource for those seeking a better understanding of the risk at hand. Everywhere around the globe, at all points in history, financial crises have always been rooted in the confluence of politics, finance, and law. Financial Stability puts the latest global financial crisis in perspective, highlighting the lessons we have already learned, and those we need to internalize today. FREDERICK L. FELDKAMP is a retired partner of Foley & Lardner, LLP, where he chaired the firm’s financial asset securitization practice. He has been a key contributor to the legal basis of mortgage-backed securities and other financial innovations in the United States. Feldkamp’s numerous publications have appeared in peer-reviewed legal journals around the world. R. CHRISTOPHER WHALEN is an investment banker and author who lives in New York City. He is Senior Managing Director and Head of Research at Kroll Bond Rating Agency, where he is responsible for financial institution and corporate ratings. Over the past three decades, he has worked for financial firms such as Bear, Stearns & Co., Prudential Securities, Tangent Capital Partners, and Carrington. He was a co-founder and principal of Institutional Risk Analytics from 2003 through 2013, when the firm was acquired by Total Bank Solutions.